Below are examples of abstract paintings. Notice how the artists use color and value to depict the image. Abstract painting is different from Non-Objective painting. 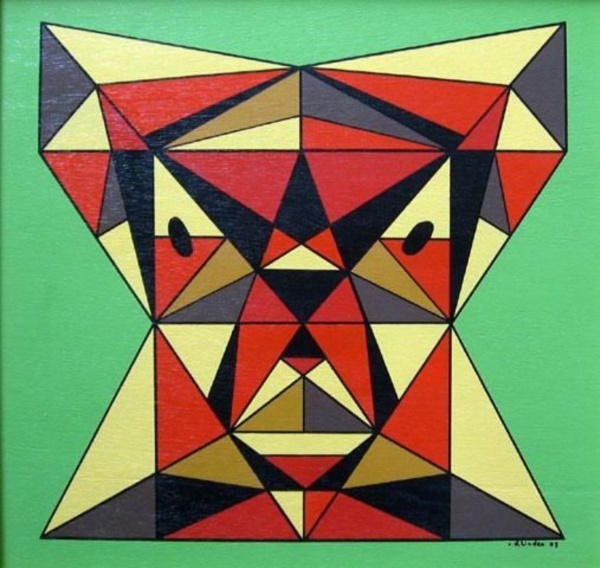 An abstract painting is a painting of something recognizable that you can name - a person, place or thing. A non-objective painting is an exploration of color, value and texture only. 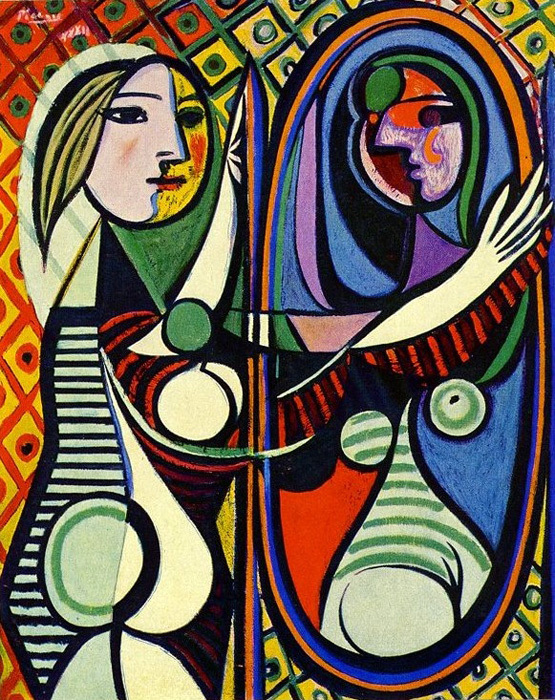 This is "Girl before a Mirror" by Pablo Picasso. 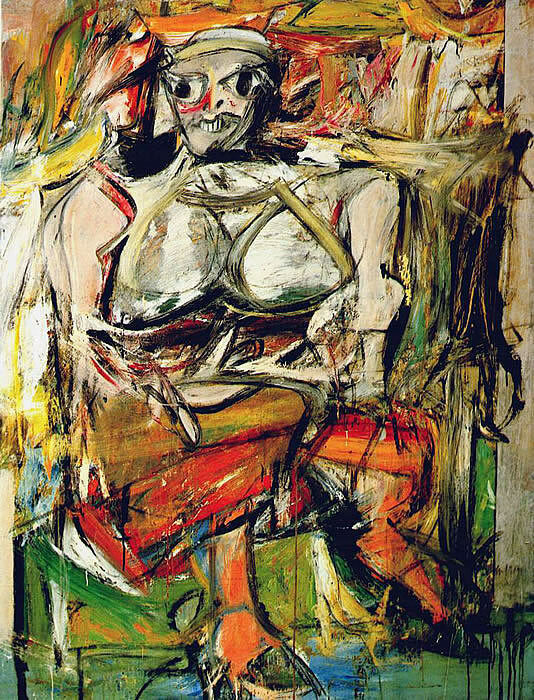 This is "Woman 1" by Willem DeKooning. i like the last one because of its bright colors but you are still able to understand what the painting is of. I like the last painting the best by far. It has pretty colors and is not as creepy as the other paintings. All of these paintings are very cool because although they are messy and fun, you can still tell what they are. My favorite is the last one because of all the colors but you can still see the face of someone. My favorite painting is the last one becuase i love the colors. It is also cool how this artist still was able to master the eyes even through the messiness of abstarct art. My favorite is the forth one because although the face seems messy at first, it gets more interesting when I notice how the artist choose the colors based on the structure of the face and light source. My favorite is the last one because i love the colors and how you can tell what it is but it is still abstract. I think that my favorite one is either the first or last one because of the bright colors and how you can still identify what it is supposed to be a picture of even though it is abstract.